Modeled after Neighborhood Watch, Business Watch takes the “neighbors looking out for neighbors” concept to the commercial level, creating a partnership between business, law enforcement, and other organizations that represent business interests. The Business Watch philosophy is straightforward—Take control of what happens in your business community and lessen your chances of becoming a victim. Teach merchants to crime-proof their own properties, watch over neighboring businesses, and document and report suspicious activity. Develop a telephone tree and/or email distribution list to quickly disseminate information about area crime. 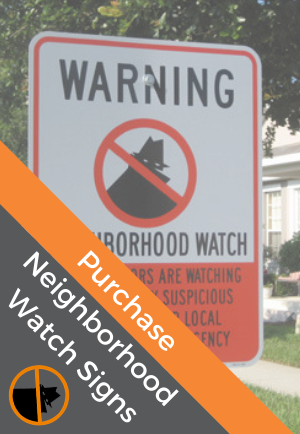 Business Watch Manual - Join National Neighborhood Watch for access to this manual. Garner publicity and community goodwill or your establishment. Set clear, achievable goals for your program. Your crime prevention officer can offer insight into what your new group can realistically expect to accomplish in a given timeframe. Start a list of names, street addresses, phone numbers, email addresses, and vehicle descriptions of those who decide to participate in the program. You may also want to include names and ages of spouses and children, and work and school schedules. Other pertinent information might include names, job titles, and number of employees; business hours of operation; and whether or not participating businesses have burglar alarms, surveillance cameras, or timers on lights. While some of this information may seem somewhat personal to individuals who have just met, it is essential to commit to the Business Watch effort at this stage and agree to work together.